When that little critter arrives, expect to experience a range of emotions—euphoria, anxiety, joy, fear, frustration—all of which, might I add, will be occurring simultaneously. You can expect to be holed up in your home with your brand-new baby, adjusting to this life-changing event. Perhaps you are recovering from the birth, which may have included a C-section or an episiotomy, or from plain old fatigue. This goes for every new mom. For Solo Moms, however, there are likely a few more balls in the air with this new juggling act called motherhood. Acclimating to your new life will have its challenges, as becoming a mother often translates into being the be-all and end-all to another human being in a way you have never been to anyone else in your life. Solo Moms need to accept that they can’t do it all. Being the primary caretaker does not mean that you have to go it alone. As you stand, ready to cross the threshold into parenthood, think about what you will need to get yourself off to a great start on this wonderful journey with this new little person in your life. You likely have more resources in the way of friends, family, neighbors, and coworkers than you realize. These are the people who will be invaluable to you during this emotionally charged and exciting time. To get the most from your support system, here are five ideas to consider when reaching out to your inner circle. When people offer to help, when they say “let me know if you need anything,” take them up on it. Your friends, family, and loved ones mean it. They want to be part of this journey with you. Allow them to give you this much-needed support. Ask a trusted confidant to take the lead on meal planning. Once you are home with the baby, you are going to be hungry. You will want to eat anything. Preferably, you should eat healthy, nutritious, well-balanced meals. Preparing and cooking meals can be tricky, especially these first few weeks as you are getting your bearings. A few years ago, after a dear friend of mine gave birth to her daughter, I received a group email from my friend’s relative who brilliantly corralled a group of us to take turns bringing healthy, home-cooked meals to the new family. Using CaringMeals, we were able to organize who would be making what and bringing it to the home. It was one less thing for the new mother to worry about. When the time comes, sit back and think of all your favorite dishes. Be sure to let your sister know you love her homemade chicken soup and tell your Aunt Patty her stuffed-artichoke dish is your favorite; and clean out your freezer for your mom’s sauce—tell her to make copious amounts. Take advantage of someone you know who is running an errand somewhere. Put the word out that if anyone is going to Costco, you would be grateful if he or she could pick up a pack of wipes, for example. Whether it is a quick jaunt to the supermarket, drugstore, or post office, chances are you can use something. Neighbors can be especially helpful in this regard. Remember, too, that there will be folks who want to visit with you and the baby. They will be glad to pick up that refill at Rite Aid. When it comes to laundry, let someone else handle the loading and unloading for a little while. A new baby means a lot of laundry—and I mean tons of never-ending laundry. 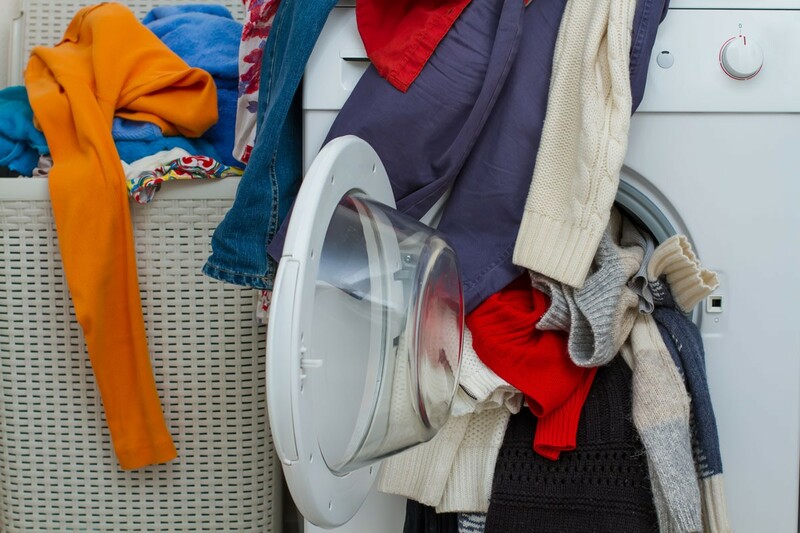 If you don’t have a washer and dryer at home, think about sending your laundry out to a service. But if someone is offering to help, take this person up on it. Don’t be shy. Hand him or her a load of laundry with directions to the nearest Laundromat, and the same thing goes if you have a washer-dryer unit in your home or building. As you orient yourself to your new reality over the next few months, get as much sleep and rest as possible to refresh and recharge yourself. One of the challenges I discovered when I was a new mother was being able to enjoy a restful sleep. When you become a mom, your internal settings change. You remain on heightened alert, taking note and processing every single sound. You sleep with one eye open. As result, you never feel fully rested. Pick someone from your inner circle to come over and sit with the baby while you enjoy a hot shower and an hour (or two) of uninterrupted sleep. Knowing someone is there to tend to the baby or bring the baby to you will allow you to release your inhibitions and give in to full slumber. This also provides a sweet opportunity for those close to you to bond with and love your baby. It is a win-win. Want to get advice from other Solo Moms who’ve been there? Sister Chat is a great resource.